US Embassy Kabul: We know duck and cover is hard, but clean up when you’re done, okay? Image via WikipediaWe heard about that shooting at an Embassy Annex from CBS shortly after it happened on September 25. The Kabul Nightingale told me that the the US Embassy Kabul Front Office (where all mission rivers run through) didn’t officially tell the Embassy community about the death until two days after it happened. Because it’s always good management practice to keep the truth from staffers who might get scared or get nightmares. So presumably, if they had internet access over there, most of the staff had to read about what happened 700 hundred yards away, from the news outlets based in New York? That shooting story broke wide on Monday, September 26. That same day, a Management Notice reportedly also went out reminding all employees that after a prolonged duck and cover scenario, they should clean up after themselves. Like clean and mop the place for the next duck and cover occupants? What did you do there – have a party while doing the duck and cover. Sheesh! The Kabul Nightingale says that given that some people had to spend upwards of 10 hours, 10 hours, mind you, huddled in a tunnel with no access to food, water or restroom, mission members were pretty darn outraged. Outrage is understandable, have you ever tried to hold it in for 30 minutes? Gawd! That’s the most awful experience; that’s how purple people are made, even doing square roots in your head would not/not help. Take my word for it. All I can say is if we could afford some $2 million dollars to put sod to green the front of the U.S. Embassy in Baghdad, I say, we certainly can afford portable potties inside the duck and cover tunnel, or something. But you know what requisition is like in the government. In the meantime, if you’re heading there, you might need training on how to hold it in duck and hold. Try the harder square roots. even the commies know that bunkers need potties, kitchens, beds, etc. Um, sorry pal, I can’t say they’re prepped for a siege; I do agree that it could happen if that 20-hour embassy attack that was no big deal is any indication. The attack which lasted for 20 hours was conducted by 6 terrorists, now dead. But can you imagine a more ambitious attack with a dozen or more terrorist, who presumably will plan on dying anyway? I can. I can also imagine duck, cover and hold for 48 hours, can you? of tissue and antiseptic hand wipe. I’d personally prefer Roadbag, not Made in America, but quite frankly, I think the Germans get it. Nothing to spill and clean up, see? Email this to your Front Office, please? WASHINGTON—A former member of the U.S. Army employed by a private security firm was arrested at Miami International Airport today on charges of bribery, fraud and theft of government funds, in connection with the award of a contract to provide services to a U.S. government provincial reconstruction team in Farah, Afghanistan. Raul Borcuta was arrested in Miami today when he tried to enter the United States from Europe. Upon Borcuta’s arrest, the U.S. District Court for the Northern District of Illinois unsealed a nine-count indictment charging Borcuta and his co-conspirators, Zachery Taylor and Jared Close, with mail fraud, wire fraud, conspiracy, bribery, and theft of government funds. According to the indictment, Borcuta, 32, defrauded the U.S. government in connection with a contract to provide two up-armored sport utility vehicles to be used by an official in the government of Farah Province, Afghanistan, who had received death threats from insurgent groups. The indictment alleges that Borcuta bribed U.S. Army contracting officials Taylor, 40, and Close, 40, with $10,000 each to award him the contract and to make full payment to Borcuta before the vehicles were delivered. Taylor and Close, formerly U.S. Army staff sergeants assigned to the provincial reconstruction team in Farah, allegedly authorized a payment of approximately $200,000 in U.S. government funds to Borcuta. According to the indictment, Borcuta received the payment and never delivered the vehicles required by the contract. The defendants face a maximum penalty of 20 years in prison for each mail fraud count, 20 years in prison for each wire fraud count, 30 years in prison for each conspiracy count, 15 years in prison for each bribery count and 10 years in prison for each theft of government funds count. An indictment is merely a charge and defendants are presumed innocent unless and until proven guilty. This is a catch up post on the nomination of Michael A. McFaul to be Ambassador of the United States to the Russian Federation. 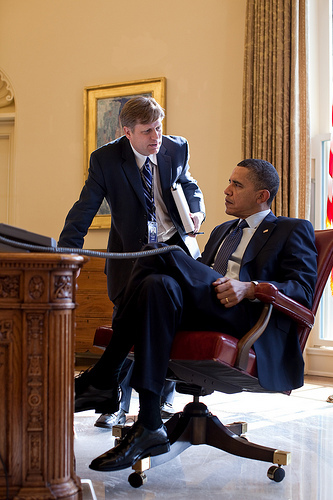 President Obama announced his intent to nominate Mr. McFaul on September 14. We have previously written about this in late May 2011 in WashDC Leaky Cauldron: Michael McFaul, Russia “Reset” Advisor to be Next Ambassador to Moscow. Michael A. McFaul is a Special Assistant to the President and Senior Director, Russia and Eurasia Affairs for the White House National Security Staff. Previously, McFaul was a professor in the Political Science Department at Stanford University, a position he held from 1995 to 2009. While at Stanford, McFaul served from 2003 to 2009 as the Peter and Helen Bing Senior Fellow at the Hoover Institution and the co-director of the Iran Democracy Project at the Institution. He was also a Senior Fellow at the Freeman Spogli Institute for International Studies, serving as the Deputy Director of the Institute from 2006 to 2009. From 2005-2009, he also was the director of Stanford’s Center on Democracy, Development, and Rule of Law. From 1994 to 2009, McFaul was a Senior Associate at the Carnegie Endowment for International Peace and served as the Director of the Russian Domestic Politics Program. He holds a B.A. in International Relations and Slavic Languages and an M.A. in Russian and East European Studies, both from Stanford University. McFaul received a Ph.D. in International Relations from Oxford in 1991, where he was a Rhodes Scholar. by T. Christian Miller, ProPublica, Sep. 27, 2011, 10:11 a.m. The suit is largely based on the Defense Base Act, an obscure law that creates a workers-compensation system for federal contract employees working overseas. Financed by taxpayers, the system was rarely used until the wars in Iraq and Afghanistan, the most privatized conflicts in American history. Hundreds of thousands of civilians working for federal contractors have been deployed to war zones to deliver mail, cook meals and act as security guards for U.S. soldiers and diplomats. As of June 2011, more than 53,000 civilians have filed claims for injuries in the war zones. Almost 2,500 contract employees have been killed, according to figures  kept by the Department of Labor, which oversees the system. An investigation by ProPublica, the Los Angeles Times and ABC2019s 20/20  into the Defense Base Act system found major flaws, including private contractors left without medical care and lax federal oversight. Some Afghan, Iraqi and other foreign workers for U.S. companies were provided with no care at all. The lawsuit, believed to be the first of its kind, charges that major insurance corporations such as AIG and large federal contractors such as Houston-based KBR deliberately flouted the law, thereby defrauding taxpayers and boosting their profits. In interviews and at congressional hearings, AIG and KBR have denied such allegations and said they fully complied with the law. They blamed problems in the delivery of care and benefits on the chaos of the war zones.